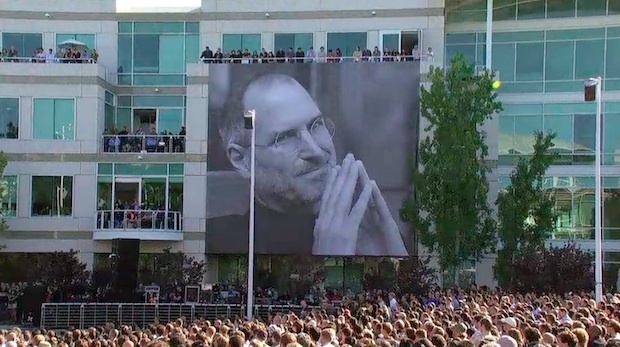 Apple has posted the full video of the Steve Jobs memorial event, held on October 19, 2011 at the Cupertino California campus of Apple. The celebration featured a variety of prominent speakers, including Tim Cook, Bill Campbell, Jony Ive, and Al Gore, as well as several prominent musicians. It’s 81 minutes long and well worth watching for anyone interested in Jobs and his legacy. The video requires Safari in OS X & iOS, or QuickTime 7 on Windows, but will also load in Chrome or Firefox if you have Perian installed. Mac OS X 10.7 Lion Improves Battery Life? I hope they post this on their youtube so I can download it and watch it later. Quicktime is horrible.